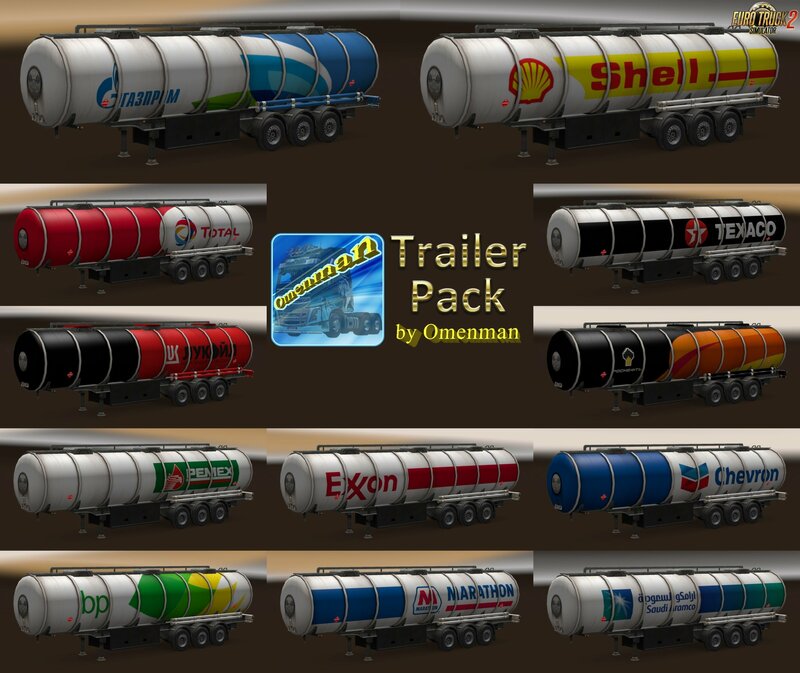 This is a mod of trailers with skins of oil and gas companies. 1. 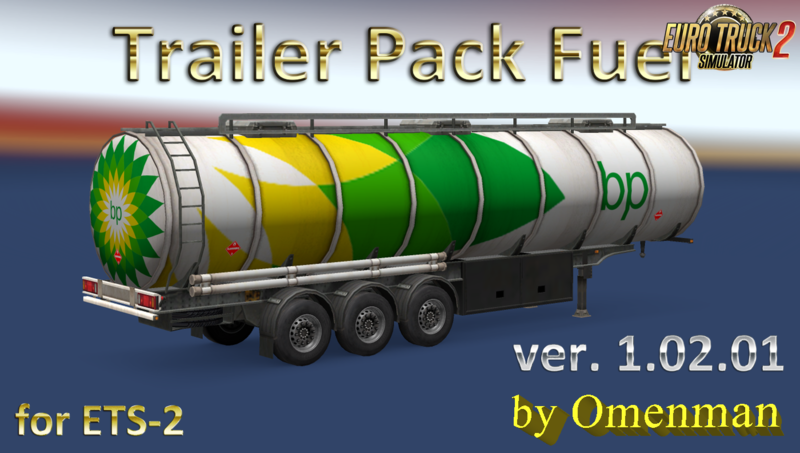 Replaced the files "PMG" on all trailers. 2. All files "chassis.sii" are overwritten. 3. The animation of the hitch is added. 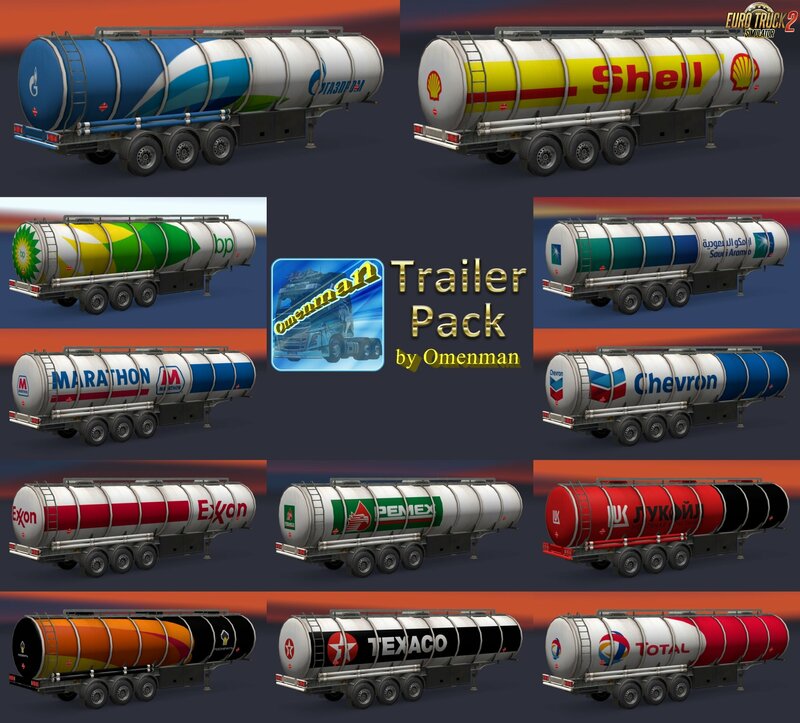 All trailers are standalone and included in the traffic. When placing the mod on other sites, save the author's link!